It takes street smarts and savvy to negotiate real estate deals these days. And in a town like Arlington, if people don't like how you do business, you'll know it (and so will everyone else in town). 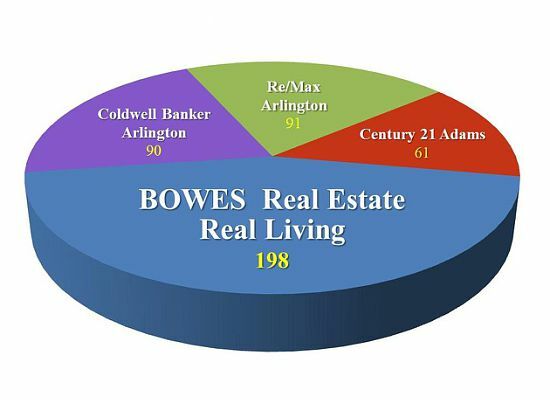 That's why the 2011 Arlington real estate numbers are a true testament to the YourHomeForSale team's credibility on the streets of Arlington. 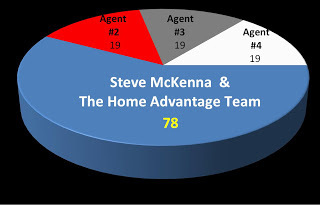 For over 20 years, Steve McKenna has outperformed other leading agents in town by wide margin. These numbers also contributed to the overall success of the Bowes Real Estate office, which as a whole, closed 198 transactions, 108 more than the next leading office. 1. Experience. You can't close 78 transactions in a year and not know what you're doing. Only a knowledgeable well-oiled team can keep deals moving along smoothly and seamlessly. 2. Commitment. It can be a tough market, and you can't close deals if you don't go to bat for clients. That means attention to detail from start to finish, and keeping clients' needs first and foremost. 3. Credibility. Arlington is not as big as you might think. Word gets around pretty quickly about who's going to get the job done. Numbers are hard to dispute, and the YourHomeForSale team's ability to handle a high volume of transactions shows a true commitment to the business. To the team, real estate is not a hobby, a side job, or a stepping stone to another career. It is a business that is held accountable by its clients. When choosing a real estate broker, buyers and sellers should look for an agent that can back up their claims of being the best. Testimonials, references, and referrals are all valid benchmarks for success, but take a look at the numbers before deciding whether it all adds up.